SBS MTV's 'The Show' will soon be entering its 4th Season. T-ara's Jiyeon and Girl's Day Hyeri will remain as the female hosts and they will be joined by a new male MC starting on October 28. They also held a press conference prior to today's show and MC Jiyeon was there. 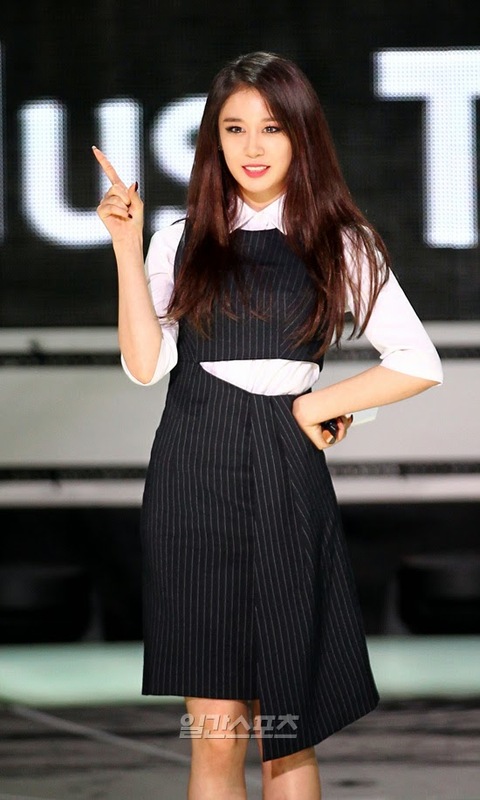 During the PressCon, Jiyeon revealed that she recently started to focus on studying the Chinese language to communicate better with their fans, she stated, "I went to China several times for T-ara's concert and every time I went, I was grateful to see the fans singing along to our songs in Korean and show us support". Jiyeon also added, "I would like to thank all fans who love K-Pop. I’ve been studying the Chinese language for the Chinese fans. Although I am lacking, I will try to communicate smoothly as one of the MCs". Check out Jiyeon's pictures from the press conference below. The other members also came to the stage, and here are more of their pictures.